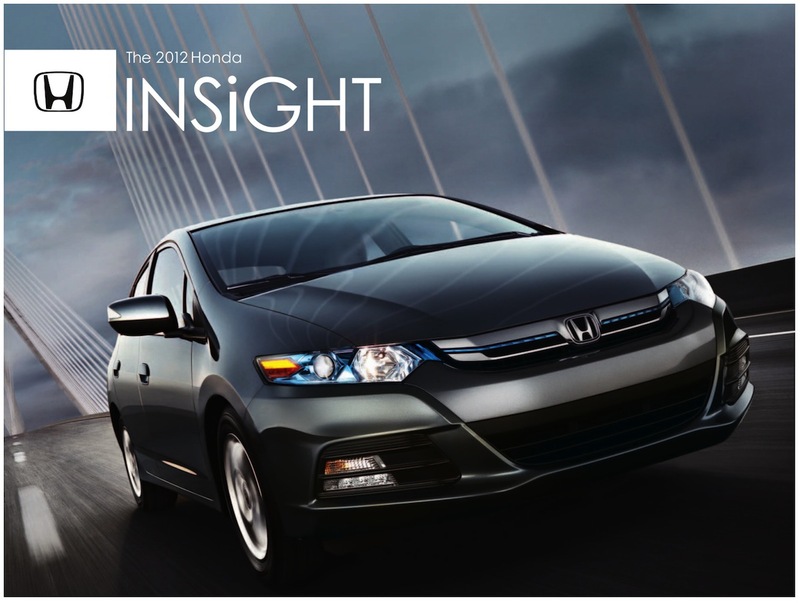 Sales brochure for the 2012 Honda Insight hybrid. Estimated gallons per mile is 41 city, 44 highway. Two option packages include the LX and EX.